A new Kickstarter campaign is seeking funding for SwitchPod, a handheld tripod that switches from handheld mode to tripod mode in only a couple seconds. The device requires almost no effort to convert, enabling users to seamlessly transition from recording while holding the device to recording from a flat surface without pausing to adjust the stand. 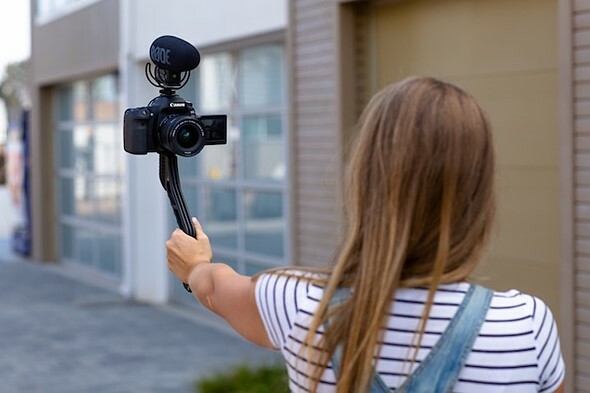 SwitchPod is compatible with any camera, including smartphones and DSLR models; the company behind it emphasises high portability, a “nearly indestructible” aluminium alloy design, and support for weights up to 45kg. The tripod features a 1/4-20″ standard screw for directly attaching a camera, as well as support for ball heads and quick release plates. Peter McKinnon shares a video on how effortless it is to manage the SwitchPod, and briefly compares it to the Gorillapod that exists as an alternative in current markets. With its slim design, the SwitchPod allows for easy handling when attempting to switch from handheld to tripod mode and vice versa. The SwitchPod Kickstarter campaign has exceeded its funding goal, but is still open to new pledges. Backers who pledge at least $79 USD are offered a single SwitchPod as a reward and shipping is estimated to start in August 2019.